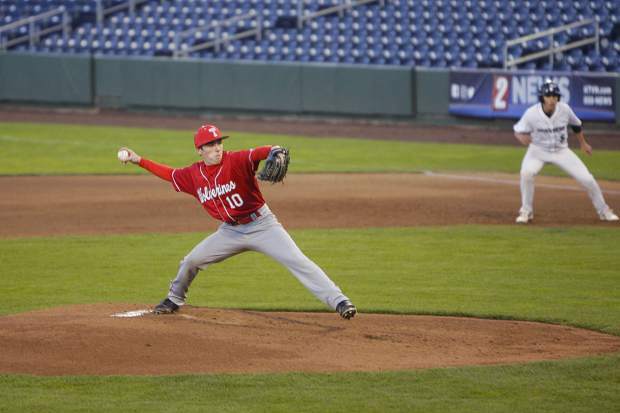 Truckee and North Tahoe will renew their rivalry in the pitch to open this year’s Class 3A Northern League tournament. Over the decades Truckee-Tahoe high school fall sports have been underscored by the achievements on the gridiron and on the court. But over the past few years, it’s been on the pitch where Truckee and North Tahoe’s teams have found the most sustained success with both the boys and girls’ soccer teams reaching the postseason each year since the Nevada Interscholastic Activities Association combined all schools below Class 4A into Class 3A for the 2016 season. 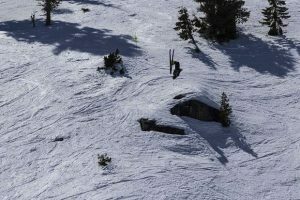 This year has been no different as the boys and girls’ squads from each school will open the first round of the league tournament on Thursday, Nov. 1, in South Tahoe. The squad with the biggest target on its back is undoubtedly the two-time defending state and Northern League champions, the Truckee girls’ soccer team. The Wolverines program hasn’t been as dominant as in years past, dropping regular season league games for the first time since the 2015 season, and will come into this year’s tournament as No. 2 seed from the Northern League’s A Division. Truckee seniors Ava Seelenfreund and Amber Simonpietri lead a red-hot team that has scored eight or more goals in four of the last six games to close the season. The Wolverines closed the regular season on Friday, Oct. 26 at home against Sparks by taking a 9-0 victory. Seelenfreund and Simonpietri combined for four goals on the afternoon, while juniors Liliana Hoesfros, Britta Winans, Alondra Villa, and Eliza Seelenfreund each added a goal. Freshman keeper Jessica Kaufman picked up the shutout win. Truckee will open its defense of the Class 3A Northern League title on Thursday, Nov. 1, against the B Division’s No. 2 team, White Pine. The game is scheduled to begin at 3 p.m. at the South Tahoe Middle School. 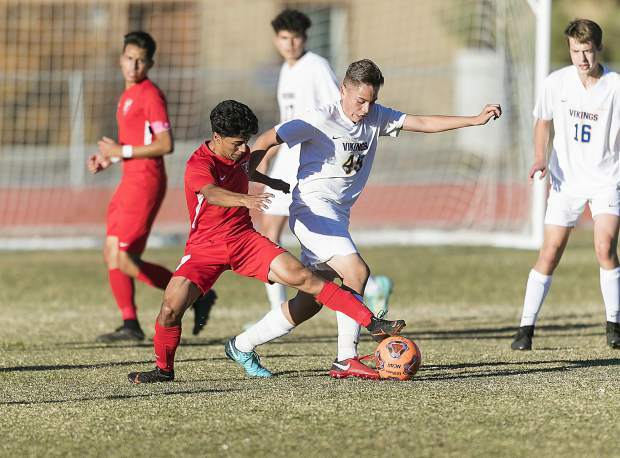 The rivalry between the Truckee and North Tahoe boys’ soccer programs has developed into one of the best in the state. 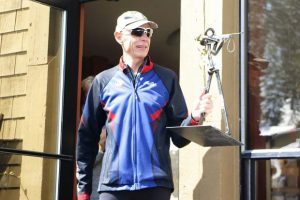 During the past few years the two squads have met in some of the most physical tilts of the season, and in doing so, have often brought some of the largest crowds of any prep event around the Truckee-Tahoe area. The clubs will renew that rivalry in the first round of the Class 3A Northern League playoffs on Thursday, Nov. 1. After going several seasons without beating Truckee, the North Tahoe soccer team now owns a four-game winning streak against the Wolverines, including taking two wins this season by a combined score of 7-2. The Lakers will enter the tournament with an overall record of 15-7, including a 13-5 record in league play, and are the No. 3 seed from the A Division. First-year Head Coach Daniel Snyder has guided Truckee to an 11-7-3 overall record, and the No. 4 seed out of the A Division. The Lakers and Wolverines are scheduled to take the field at 1 p.m. on Thursday, Nov 1, and will play at South Tahoe Middle School. Since joining Class 3A in 2016, the North Tahoe girls’ soccer team has yet to get past the semifinal round of the Northern League tournament. When the team opens this year’s league tournament on Thursday, Nov. 1, the Lakers will be in search of reaching their first state tournament berth since winning the state title in 2015. North Tahoe finished the regular season with a 14-7 overall record, including a 13-5 record in league play to earn the No. 3 seed out of the A Division. The girls closed out the regular season on Saturday, Oct. 27 by taking a 1-0 win at home against Incline. Junior Casey Garrity found the back of the net in the first half of the game to propel the Lakers to the win. The Lakers have had to deal with multiple injuries throughout the season, according to Head Coach Stephanie Bales, but going into the opening round of this year’s league tournament, the team should be close to full strength. North Tahoe will square off against league newcomers North Valleys in the first round. The teams split the two regular season meetings with the Lakers, winning 5-0 at home earlier in the year, and then falling 3-0 on the road in mid-October. For the Lakers, Bales said the message is simply to “play our game,” as the team takes the first step toward reaching their goal of qualifying for the state tournament. The game is scheduled for 11 a.m. at South Tahoe Middle School.